Backed with advanced production unit and a team of experienced professionals and chemical engineers, we are offering 12-Hydroxystearic Acid. It is an off-white solid fatty acid used to manufacture lithium and calcium based lubricating greases. The 12-Hydroxystearic Acid provides a hard finish for the automotive and small appliance industries. It is extensively used in making grease, lubricating plastics and as a raw material in the synthesis of more complex chemicals. 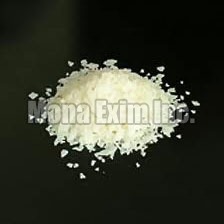 We make available 12-Hydroxystearic Acid in the required quantity at the best market prices.